Against the Grain Woodworking, Inc.
Against the Grain Woodworking specializes in custom cabinetry, custom furniture, millwork, trim work, remodels, and custom built-ins for any room in your new or existing home. Kithcen & Bath Design / Sales / Project Management / and Installation -- "1 Stop Shop"
We are a kitchen and bath remodeling outfit. We specialize in cabinet refacing, cabinet redooring, new kitchen cabinets, restoration and reconditioning of any wood in your home. No project is too big or small! Kitchen Tune-Up is committed to excellence. So much, that we developed a company-wide initiative to change the way our customers experience Home Improvement. These are called our trustpoints. If you are ready to change your kitchen or bath and want the experience to be extraordinary, contact us today. MirrorMate Frames: Custom mirror framing kits for existing plate glass bathroom mirrors. The frame is custom cut to your mirror's measurements and shipped ready to assemble. The pre-taped frame then press directly to the mirror while it is still on the wall, making for a dramatic transformation in a matter of minutes. Sold to homeowners and the trade. There are over 65 styles to choose from at www.mirrormate.com. 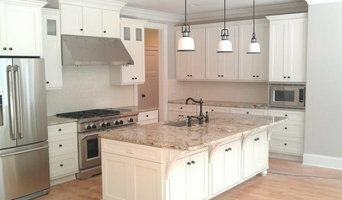 High quality custom cabinetry in the Charlotte N.C. metro area. Since 1929, Amerock® Hardware has set out to offer decorative hardware solutions that inspire, coordinate and help express personal style throughout the home. Amerock offers a complete line of decorative and functional cabinet hardware, bath hardware, hook and rail and wall plates. Amerock’s award-winning decorative and functional hardware solutions have built the company’s reputation for chic design accessories that inspire homeowners to express their personal style. Available in a variety of finishes and styles, Amerock offers high-quality designs at affordable prices. Today, Amerock is a part of The Piedmont Hardware Group and is headquartered in Huntersville, North Carolina. Our brand focus is to continue to offer outstanding quality, exceptional customer service, and innovative design solutions. Always Creating. Always Timeless. Always Amerock. Brun Millworks LLC is a family owned and operated custom millwork shop that have served clients since 2003 in the Charlotte, North Carolina Metropolitan area and the foothills of the Blue Ridge Mountains. We specialize in high quality custom millwork. We are Charlotte's premiere fabricator of custom wood countertops, wood island tops, butcher block countertops, and bar tops. With over 20 Edge profiles available and more than 15 wood species available including local and reclaimed wood. 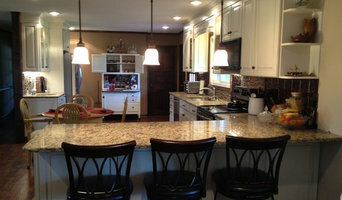 Our custom hand made wood tops are locally made and we offer full templating and installation services. Our interior millwork includes solid wood countertops, island tops, bar tops, furniture, barn doors, and mantles. Our exterior millwork includes wooden brackets, braces and corbels along with arbors, pergolas, gates, plant boxes, and shutters. Brun Millworks LLC takes pride in working directly with Architects, General Contractors, Home Owners and Interior Designers to provide you with the custom millwork and craftsmanship built to meet your specifications. Use the Houzz Professionals listings to find Charlotte, NC kitchen and bath accessory vendors. Don’t rule out asking a kitchen manufacturer’s design team for help, too. Skills often can be overlapped to save you time and money! Here are some related professionals and vendors to complement the work of kitchen & bath fixtures: Kitchen & Bath Designers, Kitchen & Bath Remodelers, Interior Designers & Decorators, Cabinets & Cabinetry. Find kitchen and bath fixtures and accessories, plus installation experts, on Houzz. Check out North Carolina kitchen products and installers, and bath plumbing products and installers, on Houzz. 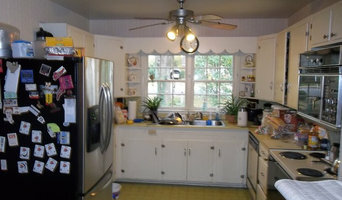 You can also look through project photos provided by Charlotte, NC renovators, retailers and designers.